If there is one thing that is evident in the men’s style realm today, it’s that beards are back and Male Grooming products are HOT! This Father’s Day, why not have your shelves stocked with specialized products, guaranteed to make those special Dads in our lives smile? Here at Essentials by Catalina, our lab is constantly researching market trends and formulating new, creative bases to fit every niche. It doesn’t matter if it’s one of our old classic formulas or a newly released specialized base; we are here to help you create a product line guaranteed to succeed, and grow your brand. This Father’s Day, market with creative gifts that are sure to please Pops of all ages. Beards Are Here To Stay! These days it seems that Dads, young and old, are rocking the biggest, bushiest lumberjack beards they can grow. Newsflash – beards don’t have to be scruffy! Add Essentials by Catalina’s new beard oil base to any guy’s grooming regimen and watch as our exclusive five oil blend leaves beards feeling silky smooth. Our Beard Oil Base is lightweight, not greasy, and with no residue buildup. Beards are left smooth, lustrous, and manageable; skin moisturized and conditioned. We have several body scrubs that are sure to buff even the most callus of man hands. 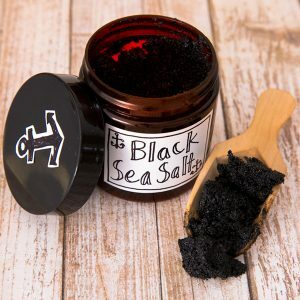 These scrubs can take many additives to enhance the exfoliating properties. Here are some ideas to get those creative juices flowing. 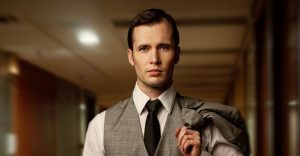 The use of hair pomade has been used to style mens hair throughout time. Weather it was the swinging cat daddies of the 20s, or a rockabilly greaser in the 50s, or a modern day hipster, the signature pomade look was a defining element of their look. Our pomade builds on that legacy by adding versatility and workability by using a water base formula. It therefore washes out with ease, unlike the oil base formulas the ol’ timers had to use. We have many in house melt and pour soap bases to fit any need. 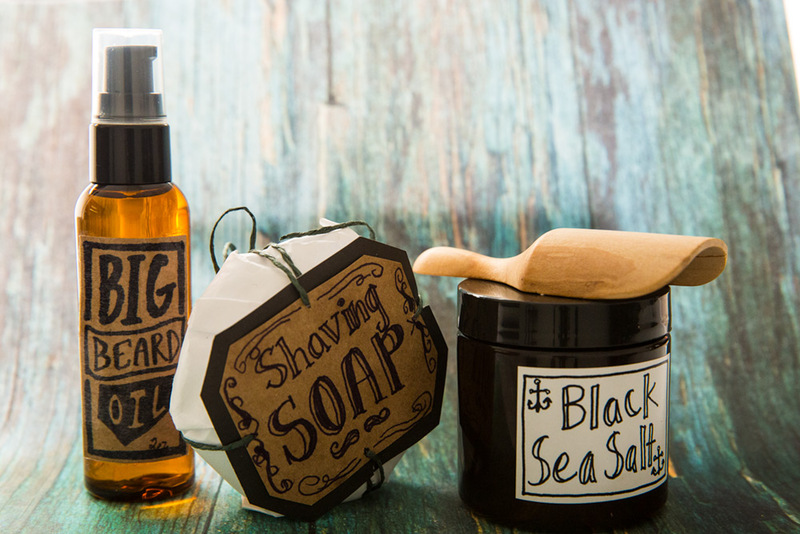 Bar soaps are a perfect addition to an old fashioned shaving kit. Our bases are easy to work with and are fresh being that they don’t sit on warehouse racks for years at a time. We make it as fast as we can sell it! Essential oils have come a long way since the patchouli pungent 70s. People seem to be aiming for a more natural rout in scenting product. There is no need to smelling like a dirty tree in order to be “natural”. Luckily we have many essential oil blends that are earthy yet tasteful, and will appeal to just about any man.